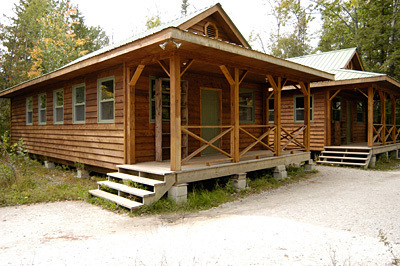 Camp White Pine is an ideal location for your group get-together, conference or retreat. (Check out the facility slide show in the Rental Group section of our website.) Located on 1600 acres surrounding our private lake in the Haliburton Highlands, Camp White Pine provides a picturesque setting to suit all needs. Many schools, church and corporate groups return to White Pine year after year to experience the outdoor charm of our setting while enjoying all modern conveniences. 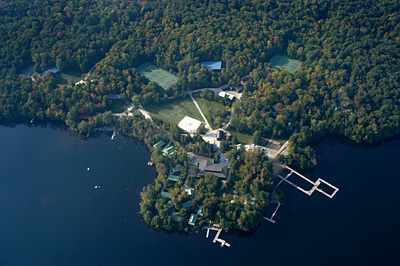 White Pine provides an unparalleled combination of outstanding facilities, activities, staff support, and terrific food. Our beautiful new cedar camper cabins provide comfortable accommodations for up to 400 and more individuals. Our wide variety of staff accommodations offer private rooms with washroom facilities. We have many meeting halls which are ideal for small group meetings or large group gatherings. Our spectacular theatre "Pinetages" is a big hit with all rental groups and it is ideal for performances, musical presentations, or any type of program. It is completely wired for sound and light and can be used by up to 600 people. Our staff lounge is also a popular spot, with oversized couches, ping pong, telephones, and a fireplace. It is an ideal meeting location for up to 200 people. 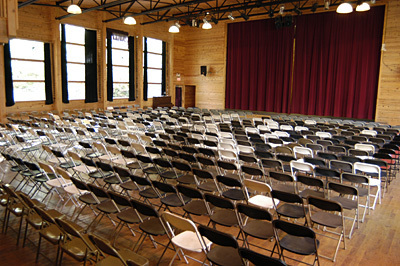 Many other recreation halls and studios are situated within the camp, each with its own fireplace, and are ideal for group meetings of 200 to 200 people. Of course, outstanding food is of utmost importance. We provide well-rounded, nutritious and delicious meals and snacks. Also breads and desserts are home baked and we are flexible in meeting your needs and desires. 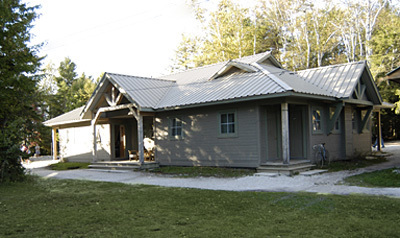 White Pine is also known for its wide range of activities and facilities. We have eight tennis courts, a professional basketball court, and an in-line hockey rink, all with lights for nighttime use. In addition, there is a large waterfront with spectacular beach and swim area, and sailing, canoe, kayak and waterski docks. Other activities include a high and low ropes course, climbing wall, and a wide variety of arts facilities. We are proud that our rental groups return year after year. Our camp is available during the spring, late summer and fall time periods. We will be happy to provide you with a tour of the camp, more information, and references from current rental groups. Feel free to contact us at any time.